A newer fully equipped kitchen with a dishwasher. 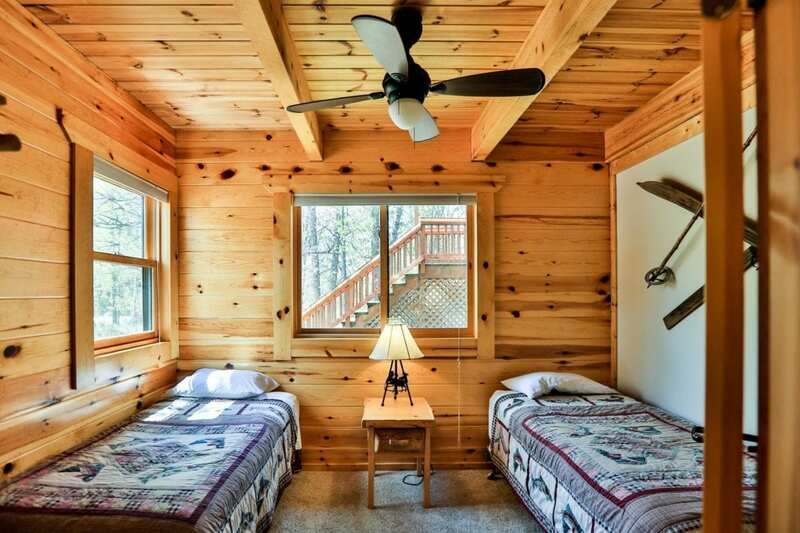 Knotty pine walls & ceilings. 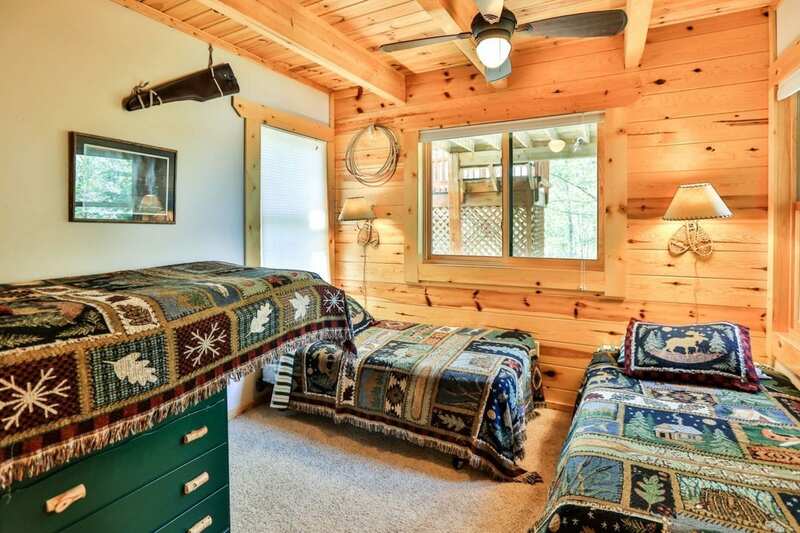 Screened sun porch and spacious deck. So close to the water and your boat slip, you can almost cast off the deck. Adjacent to the main lodge & harbor area. Charcoal Grill & Firepit. We start you off with a bundle of firewood! Fabulous sunsets from your deck, porch, kitchen & living room. One bathroom & Three bedrooms (1 queen and 4 twins). 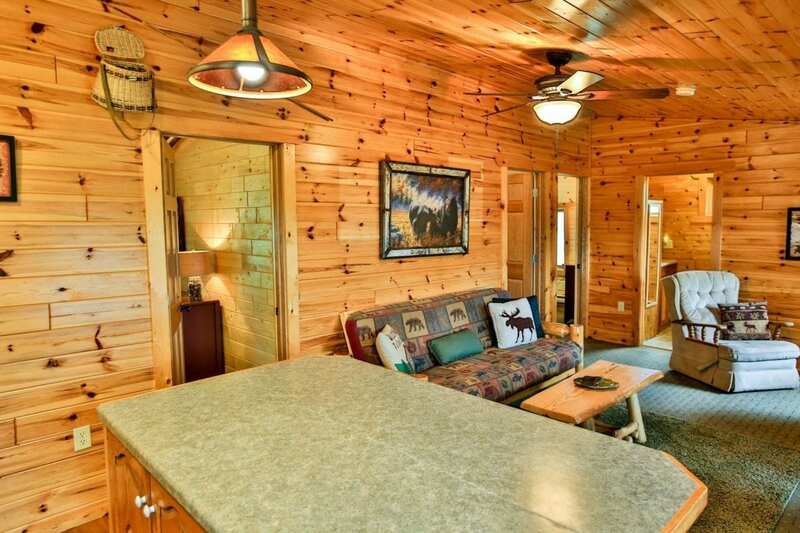 A three bedroom vacation home with large deck & screened porch. Large windows and unique design provide lake views from almost every room. Large open kitchen with dishwasher. Gas Grill. Fire Ring and we supply your first bundle of firewood! New in Fall of 2012: Stairway to private dock! *** Yellowstone Loft is available for rent also. If rented together you will receive an additional $300 off per week. Please, no pets allowed in Yellowstone.